Students who find themselves alone on the playground can sit on the bench, and their peers are encouraged to invite them to join in their activities. If no students approach, an adult will help find the student a “buddy” or come up with a plan for an activity. So far, the Buddy Bench is working, said Brian Malek, Central Manor assistant principal. The idea originated when a student council member was looking for ways to encourage friendships and play at recess time, according to Danielle Rogers, a Central Manor counselor. Rogers had just read an article about the Buddy Bench, an idea that originated at a York County school and has spread across the United States, so she suggested the project. A contest was held to design a poster to identify the bench. 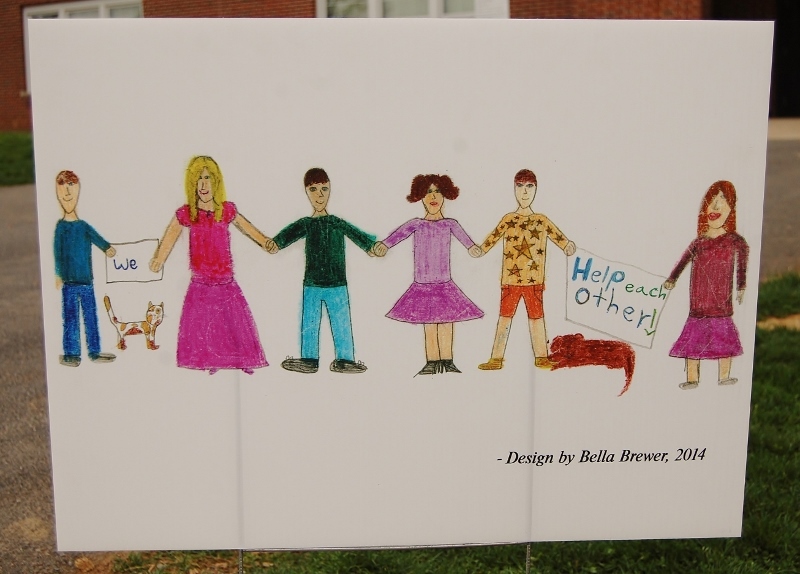 Third-grader Bella Brewer’s artwork – depicting a line of people holding hands with the message “We help each other” – was chosen. Before the Buddy Bench was put into use, the school staff explained to students the rules of the bench and did a role-playing exercise on how children should interact at the bench. Central Manor ES third-graders, from left, Audrey Smith, Madison Yecker, Alexis Knapp, Bella Brewer, Alaynis Velazquez and Mikayla Keller try out the new Buddy Bench during recess. 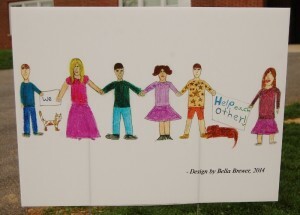 Third-grader Bella Brewer designed this poster for the bench.